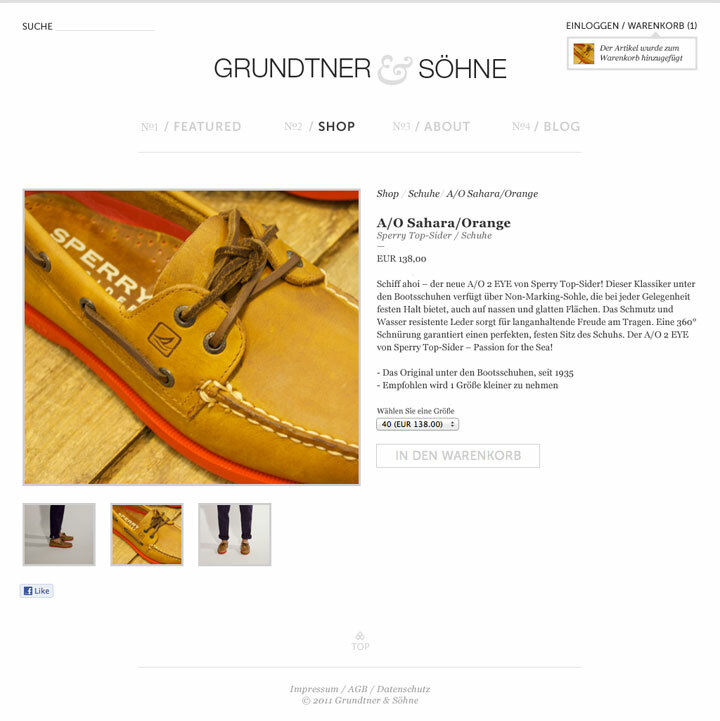 Website and Online Shop for one of the best men fashion boutique's in Austria. 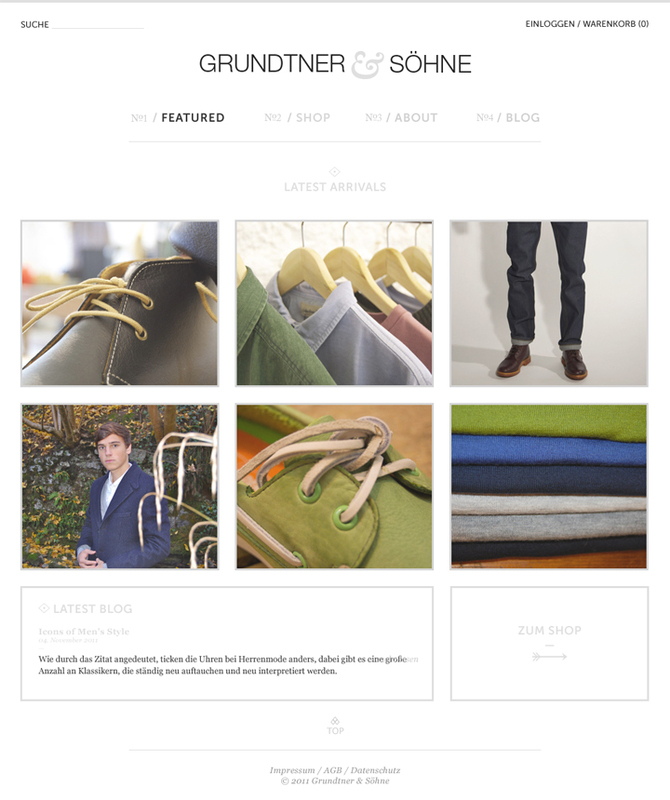 The fact that their boutique is located in a 600 year old house made us coming up with a simple and beautiful website design. The clean & light approach let products speak for itself. 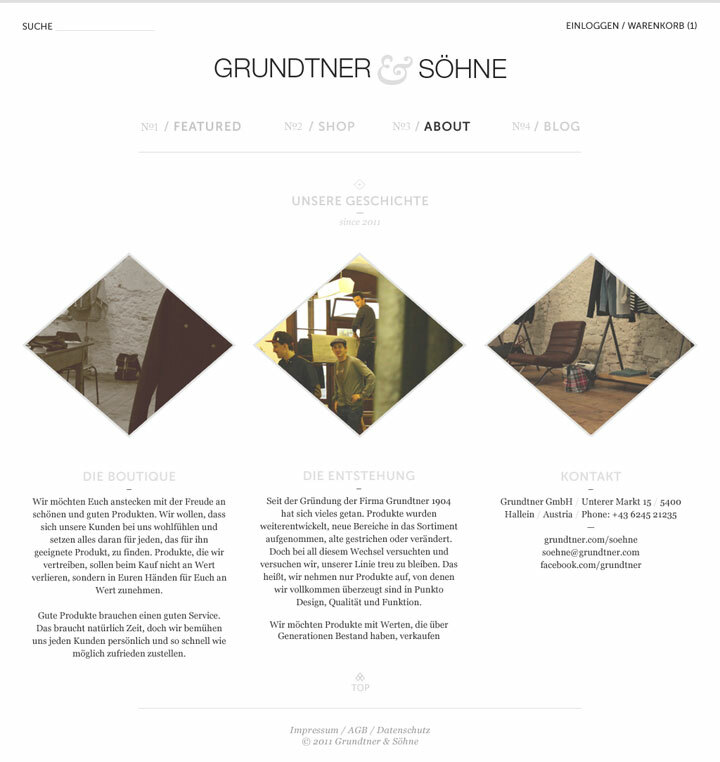 Products offered by the "Grundtner & Söhne" boutique are crafted with attention to detail and so is the online appearance.